Ski season may be over, but that doesn’t mean you can’t plan your next adventure at the Tongariro National Park! Summer is on the way, and there is plenty to do here in the heart of New Zealand’s North Island. There’s something for everyone, young and old, as challenging or relaxing as you want it to be! Ok, let’s start with the most challenging, the world famous Tongariro Alpine Crossing. With majestic views of snow-capped mountains, active volcanoes, and stunning emerald lakes, this one-day hike is considered to be one of the best in the world. The volcanic peaks of Ngauruhoe, Tongariro and Ruapehu are all visible as you cross this world heritage site, so take in some of the most beautiful views Aotearoa has to offer! Good weather during the summer can make this one of the best days of your life, but be aware, the weather can turn quickly, so always plan accordingly. We provide a great accommodation package including two nights’ accommodation, daily continental breakfast, return transport for the crossing and energy packed lunches. The Tongariro National Park is home to some of the best mountain biking terrain in New Zealand, with tracks suitable for beginners and experts. Fishers Track is a favourite amongst local mountain bikers, with spectacular views over Tongariro National Park and the Retaruke Valley. The 27km grade 2 track is mostly downhill, with over 600 metres of vertical to enjoy. 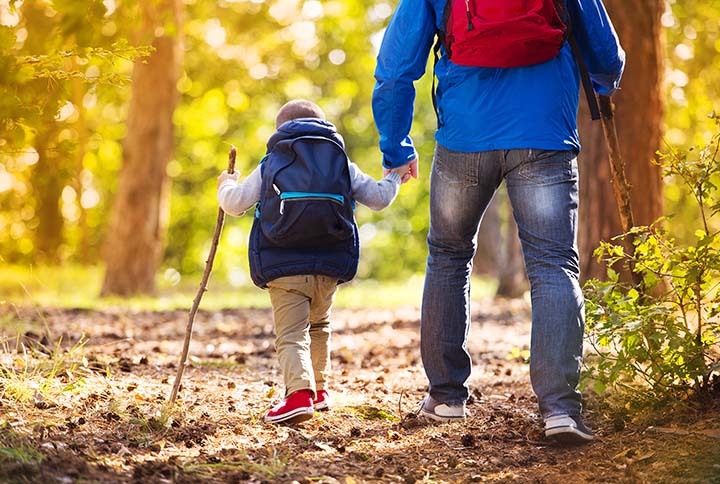 Perfect for beginners and families, we have the Ohakune Old Coach Road and the Marton Sash & Door trails. The former is steeped in history, and suitable for most weather conditions, with the native forest offering protection from the wind and rain. The latter follows a recovered bush tramway route for an approximate 2-3 hour ride. The 42nd Traverse is considered one of the best mountain bike tracks in New Zealand, with challenging downhills and muscle-testing uphills. With several river crossings and stunning views, the 46 km long trail takes 4 – 7 hours to complete depending on fitness and experience, but with no easy exits along the way, this one’s not for beginners. Here at the Park Hotel, we are surrounded by beautiful walking tracks of all types and lengths. From short, 15-minute walks, right through to 6 hour hikes, there’s something for everyone, and all just starting a 10-minute drive from the hotel. Our staff are more than happy to give advice on the most suitable tracks to suit your individual, group or family needs. One of the highlights of the local walks must be the 2-hour Taranaki Falls loop track. This beautiful walk to a marvellous waterfall allows you to bring a picnic, take in the native plants and fauna, and enjoy the birdsong. The crystal-clear rivers and lakes around Tongariro National Park New Zealand make it an angler’s paradise. With an abundance of pristine trout and salmon fishing waters, it is the perfect environment for freshwater fishing. The Tongariro River is world famous for its trout fishing, and the Tongariro River Rafting company provides guided freshwater fishing trips for anglers of all ages and experience. Alternatively, Turangi the “Trout Fishing Capital of the World” is just a 35-minute drive from The Park Hotel and home to the National Trout Centre. Here you can learn more about New Zealand’s fresh water environment during your visit to the Aquarium and Trout Hatchery. The Tongariro National Park is home to the beautiful Tongariro River, which flows into Lake Taupo. There are several companies who offer river rafting, each with their own different options. Grade 3 white-water rafting will certainly get your adrenalin pumping, but is still suitable for beginners, and there are even some Grade 5 rapids for those looking for a bigger challenge! If the Tongariro National Park seems familiar to you, then there’s a chance you might recognise it from Peter Jackson’s Lord of the Rings movies. Mt Ngauruhoe classic volcanic cone shape was perfect as the iconic Mount Doom, and you too can experience the epic adventure of Frodo and the Fellowship by visiting these real-life landmarks for yourself! At over 600 metres above sea level, Lake Otamangakau has New Zealand’s highest guided alpine stand-up paddle-board adventure! Only available during the summer months, the adventure company My Kiwi Adventure run fully guided trips with all gear and transport included. All you have to do is enjoy yourself! 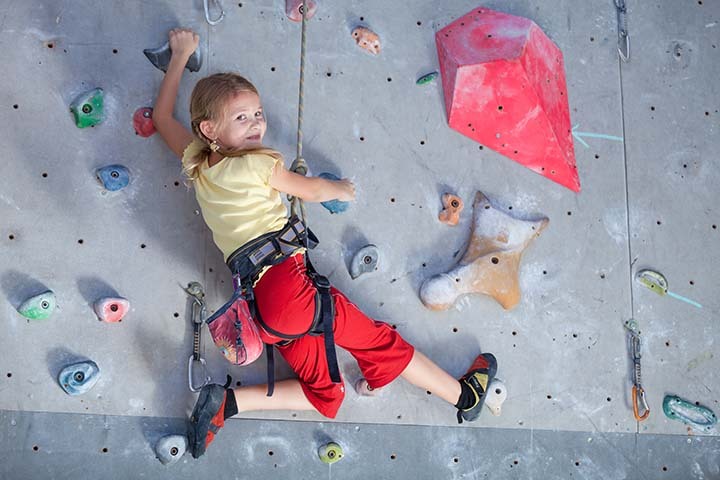 Right next door to the Park Hotel is National Park’s indoor rock climbing centre, open daily from 9am to 8pm. Suitable for beginners through to advanced climbers, the climbing centre offers over 300m2 of wall, 35 top ropes and 55 different climbs. If you’d rather do the real thing, then we have that as well, with Ruapehu, Ngauruhoe and Tongariro on our doorstep. The Tongariro National Park is open all year round, with sites, activities, and adventures for all ages to enjoy. 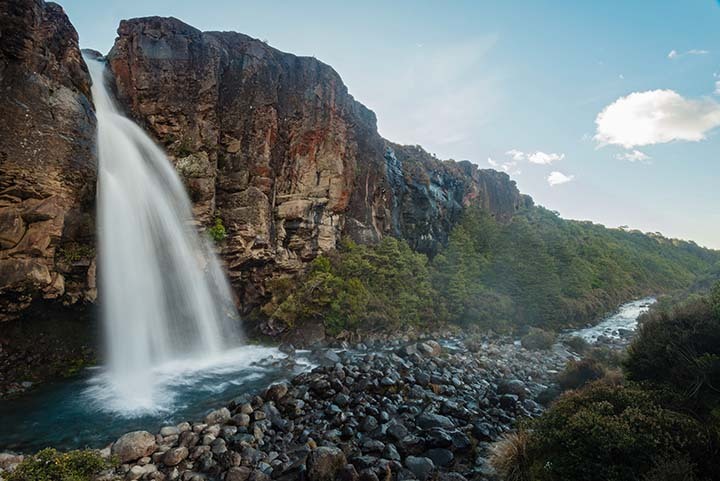 Whether you’re experiencing some of the world’s best trout fishing on the Tongariro River, taking in the breath-taking views of the Alpine Crossing, or on a pilgrimage to the iconic Lord of the Rings locations, the Park Hotel can help. Contact us today and book your room at our luxurious hotel this summer. Use us as a base to explore the park, returning to a relaxed, friendly environment, with delicious food and soothing outdoor hot tubs. Make it a summer to remember with the Park Hotel!